When it’s Valentine’s Day and you’ve worked all day long and come home to cat and Netflix, the only thing to do is watch rom-coms until you fall asleep. And of course, the most perfect rom-coms are British ones about awkward writers falling in love with each other. I ended up watching two such films in quick succession, and yes, it was a perk that both happen to star a couple of my favorite Doctor Who stars. 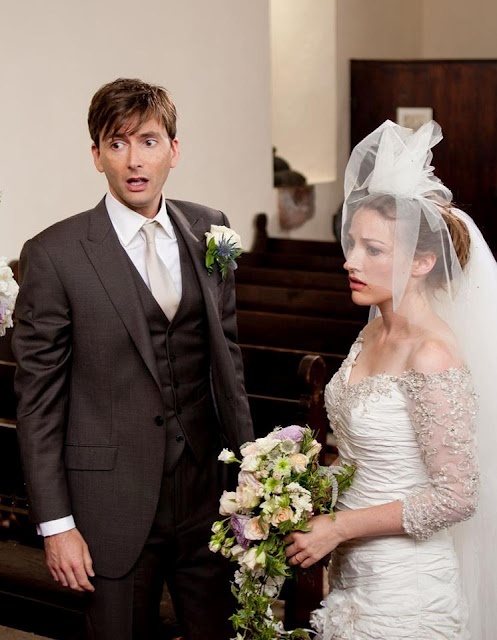 First up, The Decoy Bride starring Kelly Macdonald (Brave, Harry Potter, Trainspotting) and the one-and-only David Tennant (Doctor Who, Broadchurch). Plus Alice Eve (Starter for Ten, Star Trek Into Darkness), Michael Urie (Ugly Betty), and the hilarious Sally Phillips (Bridget Jone’s Diary, Miranda) who wrote the screenplay as well. 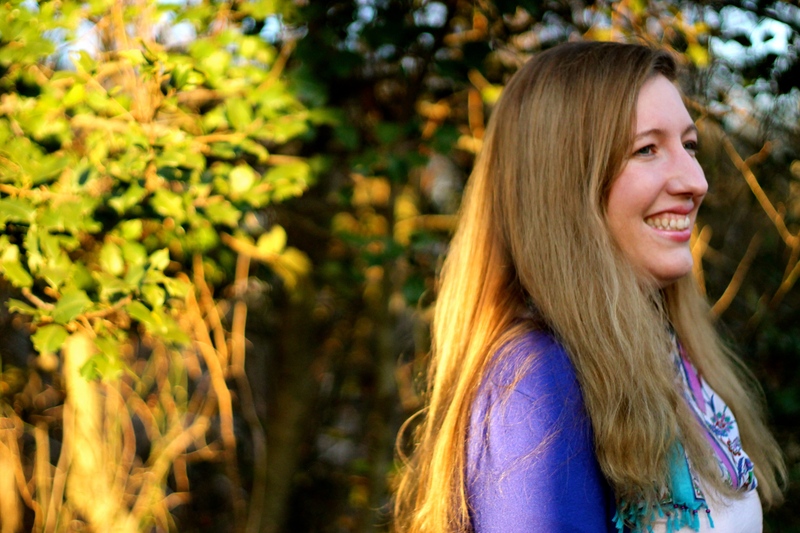 The Decoy Bride is about sad, depressed, failure-at-life Katie Nic Aodh (Kelly Macdonald) who is returning home with a broken heart and no job to take care of her dying mother on the fictional island of Hegg where nothing ever happens. The film is also about a celebrity couple trying to get married. Lara Tyler (Alice Eve) is the most famous actress in the world, and all she wants is to marry her fiance, author James Arber (David Tennant) in private and peace, without paparazzi crashing her wedding. The first ten minutes of the film feels a bit like Notting Hill, except you know not to root for the Actress and the Writer because this is a rom-com and obviously somehow the celebrity couple are not supposed to be together because our sad Heroine is trudging through the Scottish rain declaring she’s done with men and perfectly resigned to being a bitter spinster. Something has to bring the three together to create our needed love triangle, so Lara comes up with the idea that she’ll marry James in secret in the middle of nowhere: Hegg, which is also the setting of James’ book. Katie: No wonder. That book isn’t right about anything. James: You haven’t read it. No one’s read it, not all the way through. Katie: That’s the only book ever written about Hegg. Everybody who can read has read it. The Hegg Book Club gave it four out of ten. James: Four out of ten? Katie: We thought it picked up around page 600. But when you’re famous it’s impossible to hide forever, and the paparazzi eventually show up. Lara, ridiculously, runs away. Which then leads Lara’s PR team (Michael Urie and Sally Phillips) to deceive James into going through with the wedding by finding a — say it with me — a decoy bride — to stand in during the ceremony, “marry” James well enough to convince the paparazzi, and then find Lara and go through with the wedding for real. And since Katie is apparently the only single woman under 60 on Hegg, she gets dolled up and veiled and shoved down the aisle. And of course, because Katie is awkward, she somehow manages to sign the marriage certificate, and the rest of the movie is about her and James trying to get divorced, find Lara, and fall in love with each other. So the plot is lame, but the jokes are funny, the scenery is pretty, the actors are hilarious, and somehow at the end of it I realized I loved it. Plus, Katie and James have great banter, particularly when they’re catty about each other’s writing. I also liked Katie. She could have been a very pathetic Cinderella-type, but she’s proactive. She is in charge of her life, even if her life has hit rock bottom, and she has no interest in being saved from it. And when she does realize she’s in love with James, she doesn’t pine for him. She says something about it. And when that falls flat, she still doesn’t break. She doesn’t mope around and hope he comes back to her. She moves on. Katie Nic Aodh really is hotter than she looks. If you’ve got a couple of hours to spare, and you enjoy self-deprecating British humor, and if the idea of David Tennant playing a writer suits your fancy, then yes, I’d recommend The Decoy Bride because it’s lighthearted and lovely. Like the Hegg Book Club, I give it a 4 out of 10. Because Kelly Macdonald is wonderful. All right, 5 out 10. This entry was posted in Film Review, Review and tagged alice eve, David Tennant, kelly macdonald, sally phillips, the decoy bride, writer, writing. Bookmark the permalink.